The first influence is a pickup in the arrival of UK immigrants, now getting used to the shrunken pound, and accepting that the quality of life here is worth it, even at $2 to a pound. The second influence is the non-departure for, or return of Kiwis from, Aussie, just a trickle at this stage, but may grow stronger if we can sustain our current good growth. Thirdly, an influx of Kapiti Coast based first home buyers priced out of Waikanae and Paraparaumu. 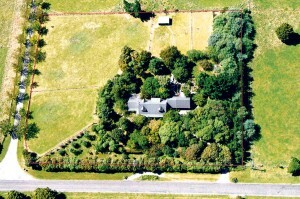 Why would you buy a box in Arawhata Road for $350,000, when you can buy a comparative ‘ mansion ‘ in Otaki, for $280,000. The last influence to mention is the Expressway, the influx of workers seeking rent, and some in a position to buy. Already we have sold 5 properties to people moving to this area specifically because of this. Most amazingly, we are getting more attention from Aucklanders heading south. And we thought they didn’t know we existed! Over the last 8 weeks, for the first time in years, we have been fielding enquiries from north of the Bombay Hills. This is surely a sign that the Auckland market may be ‘toppish’, but more likely a reflection of the vast difference in values that has opened up, after Auckland prices have gone up 40% in the last 4 years, while our prices have gone up 4%. Why would you stay in Auckland if your house is worth $850,000, if your roots are at this end of the Island, if you are close to retiring age, and you can buy an equivalent home in Otaki for $250,000???? And bank the rest!This is the ‘levelling effect’ previously experienced, when towns like Hamilton, Napier and Hastings, Rotorua and Tauranga, Oamaru and Nelson become more attractive to professionals and retirees alike, chrystallizing their real estate gains, and heading out of Auckland for ‘lifestyle’. Kapiti Coast is now in that group. Our favourable climate, good air connections with Auckland, an attractive arts and music scene, the good employment prospects, a slower pace of life, and cheaper Real Estate, all exert a pull.